GROM DBR1 DAB Radio Extension Dongle enables listening to Digital Audio Broadcast in your car through select GROM Audio device. Operates with the following GROM-MST4 car kits: AUD04, BMW04, MB04. Kit comes with everything needed to connect to compatible GROM unit including an amplified FM antenna for best possible reception. 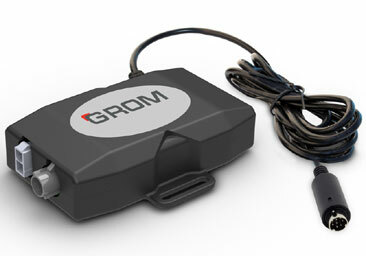 The GROM-DBR1 connects to EXT2 port of compatible GROM units, if port is currently occupied you will need to disconnect currently connected adapter.